Kochi: A hardline supporter of CPM veteran V S Achuthanandan and former panchayat president of Elamkunnapuzha, V K Krishnan, ended his life by jumping into the backwaters here last night. He took the plunge while traveling on a passenger boat from Vypin to Fort Kochi. Before this he gave his dying declaration to a co-traveller in which he flayed party leaders in his panchayat. Krishnan was ousted from the president post through a no-confidence motion brought by Congress and supported by BJP on May 31. He became president of the panchayat reserved for SC category with the backing of a rebel Congress member. Following both fronts getting equal seats, Krishnan became president last time through a draw of lots. He accused the party leadership in Elamkunnapuzha of plotting to flush him out of active politics. He said he had committed only blunders in his life. A retired government employee, Krishnan first became member of the panchayat from 2005 to 2010. 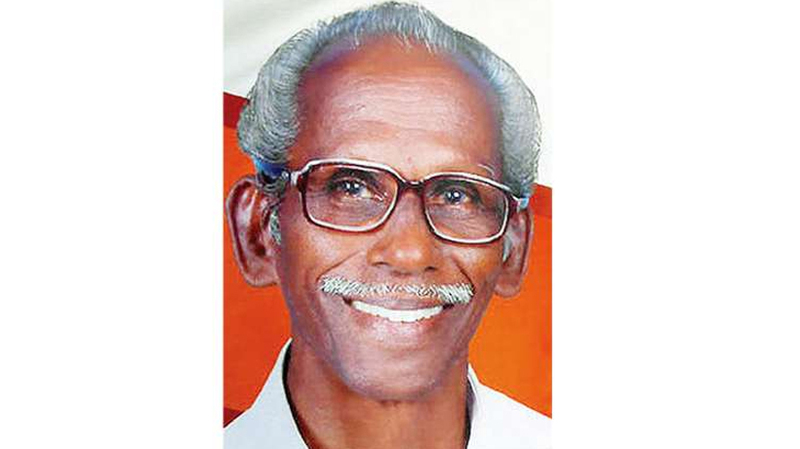 He was in the forefront of the group in the party that backed VS during the height of factionalism in the CPM.